It seems like a new start-up springs up everyday in the Bay Area. Here are 3 that are not only awesomely innovative, but are also doing great things for the environment and community. If you’re into discovering unique eco-friendly and non-toxic products and haven’t already heard of Blissmo, you are missing out. Blissmo is a mindful company created with the mission to promote products that are safer, healthier, and better for people and the planet. 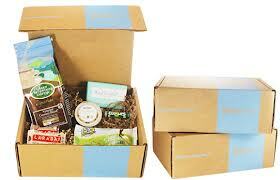 The company carefully selects and garners full and trial-size products into themed boxes that are sent out to members once a month.Each month users have the option of picking from 3 box options (usually 1 food, 1 beauty or personal care and 1 seasonal) or they can skip the month and save it for later. All products are guaranteed to be healthy for you and the planet and the boxes are a great way to discover a range of new items and brands without committing to large and expensive sizes. The boxes change every month and are only $20, a great price for the high-quality items you receive. Blissmo also offers BREAKboxes for the offices, which contain healthy, sustainable snacks and come in 4 different sizes. Check out their website to see what boxes they have this month! 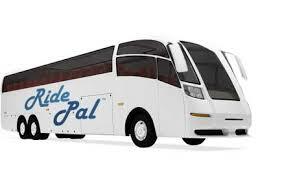 Ridepal offers a unique service to anyone with a horrendous commute. They’re aiming to make commuting more convenient, social, comfortable, relaxing and eco-friendly with their high-end, wifi-equipped shuttles and routes that are voted on by the riders. Not only does Ridepal enable you to enjoy your commute they way you want (more sleep please?) but they also help keep cars off the road and the air clean. There are rumors that Ridepal will add new 180-degree lie-flat seats equipped with USB and power plugs to their shuttles this summer so that you might even start to look forward to your commute. Yes, you just read the words “look forward to” followed by “commute”. I guess Ridepal knows what they are doing. Unfortunately as of now they only have shuttles running throughout the Bay Area, but I know a lot of people are anxiously awaiting the day they expand to other cities. interactions. 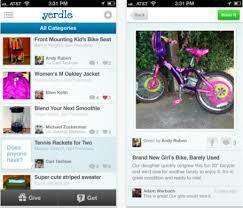 yerdle is a platform that makes it simple to browse items your friends are sharing or giving away while, likewise enabling you to post things you don’t want anymore. It connects you with friends via facebook so you immediately have access to a trusted network of people to share with. Scrolling through my convenient yerdle app today, I find a collection of Pez dispensers, a set of Cards Against Humanity and an awesome looking messenger bag. All for free and all hoping to land in a good new home instead of a landfill. 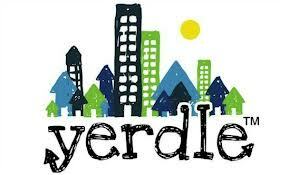 The interesting thing about yerdle is its ability to utilize and create a sense of community centered on sharing things. Take a look at the video on their website to truly get a sense of how sharing can bring people closer together. So interesting! I can’t wait to look forward to my commute. How forward thinking things are in the Bay Area!